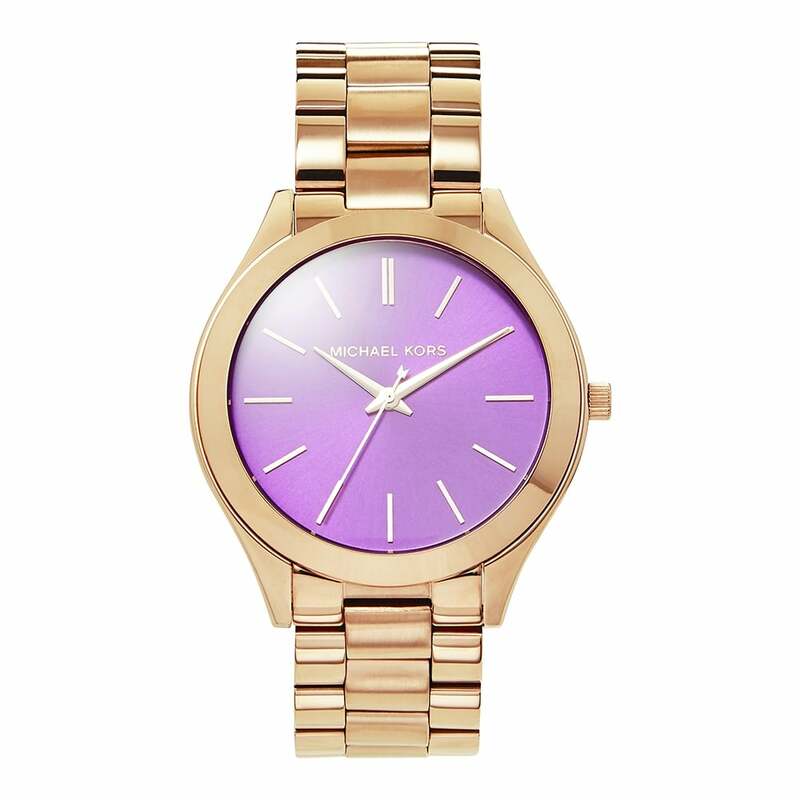 Add a splash of colour to your attire and make a statement with this Slim Runway Michael Kors timepiece. Designed with a Rose Gold tone, the 42mm diameter case has been produced with a Purple dial, as it shows a Quartz Movement. It also provides comfort for wear and has been clasped with a push-button deployment. Produced with a 50m Water Resistance, this timepiece comes packaged in an Official Michael Kors Presentation Box plus a 2 years Tic Watches Warranty.